As a rule, search and rescue attempts for people lost or trapped underground are scaled down after five to seven days. Lack of potable water, rising carbon dioxide levels, and psychological stress mean that it is rare for people to survive beyond that time. Despite this bleak prognosis, however, there are incredible stories of survival which defy these odds. These rescues from around the world are truly miraculous. 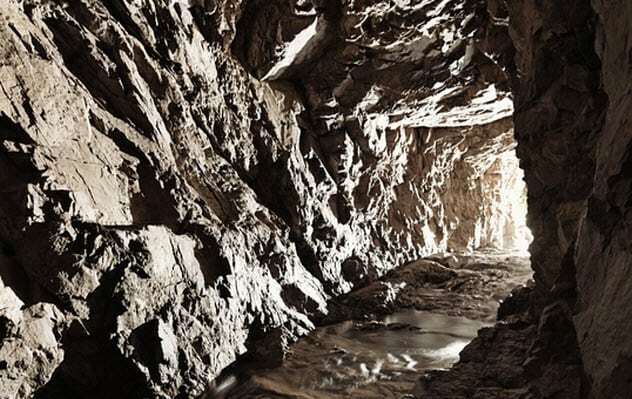 In 1989, a group of Cub Scouts was exploring an abandoned mine shaft near Salt Lake City. Joshua Dennis, who was only 10 years old, became separated from his father, the scout leader, and the other cubs by taking the wrong exit. He spent five days sleeping on a ledge and sucking on 10 tiny pieces of licorice. There was little hope for his survival when a search team, which had passed nearby several times, finally heard his faint cries. He was suffering from dehydration and mild frostbite. A massive earthquake, which even rocked skyscrapers in Shanghai, hit Sichuan province in May 2008. Rescue efforts were hampered by the fact that many of the mountainous regions affected were remote and difficult to reach. Even as China prepared for three days of mourning, miracles occurred. In Beichuan County, which was near the epicenter, Li Mingcui, a 61-year-old woman, was found beneath the rubble of a former bazaar. She had survived for seven days despite suffering from dehydration, liver and renal failure, multiple shoulder blade and rib fractures, and a damaged lung. In 2010, workers in the Wangjialing coal mine were trapped for eight days after they encountered an old shaft that was filled with water while digging a tunnel. The mine quickly flooded with enough water to fill 55 Olympic pools, trapping over 100 workers. Some attached their belts to the shaft’s walls to avoid falling into the water. Many resorted to eating paper, coal, and tree bark as well as drinking the black, murky water. 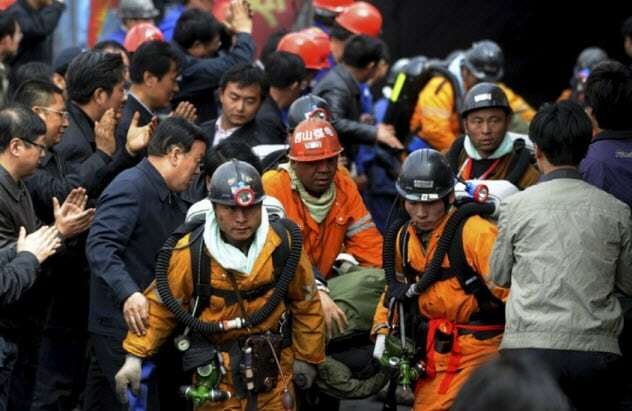 Thousands of rescuers worked tirelessly to pump water out of the shaft. Initially, divers tried unsuccessfully to reach the men. But as water levels receded, rubber rafts were able to navigate the low, narrow passages. Eventually, 115 men were rescued. Many were suffering from hypothermia, dehydration, skin infections, shock, and low blood pressure. 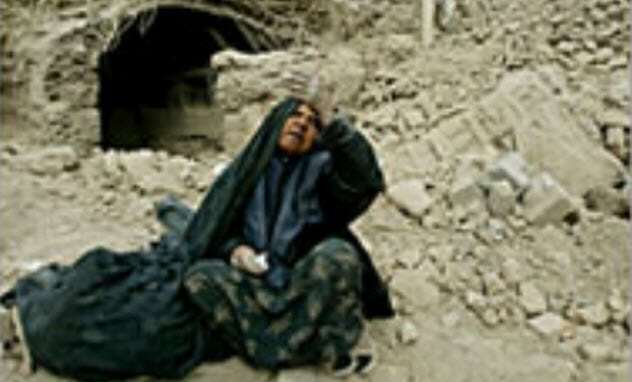 Trapped beneath pieces of wooden furniture, Shahrbanou Mazandarani, a woman in her late nineties, was found eight days after the ancient city of Bam was demolished by an earthquake in 2004. Experts had given up hope, believing that it was almost impossible for anyone to survive under the rubble for more than three days without food or water. Discovered by rescue dogs, soldiers had initially believed that the hand sticking out of the ruins belonged to a corpse. They found her wrapped in a blanket after digging for three hours. Completely unharmed, she declared that God had kept her alive and her first request was for a cup of tea. 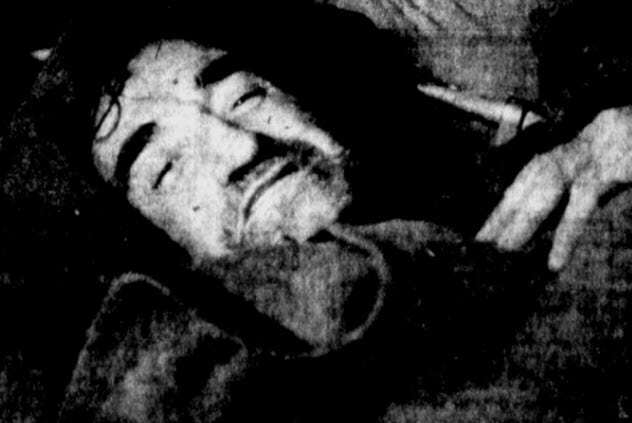 In 1969, William Jones spent nine days in a space only large enough for him to crouch after an avalanche trapped him 8 kilometers (5 mi) underground in a lead-zinc mine. 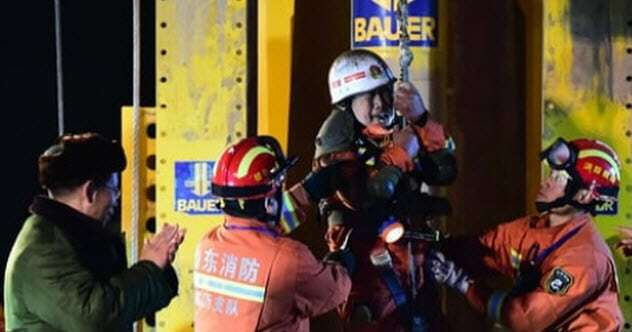 Frustrating efforts to save the 60-year-old were finally rewarded after rescuers risked their lives to tunnel through 7.6 meters (25 ft) of rock. Workers had tried to dig a direct route through mud and rock, but a cave-in was feared. An attempt to use diamond-tipped drills was also abandoned. He had to be pulled through a 0.6-meter-wide (2 ft) passageway and climb down a ladder by himself. His wife and 11 children had an emotional reunion with him at the mine entrance. At the hospital, he was happy to have a bath and a shave and watch his rescue on television. 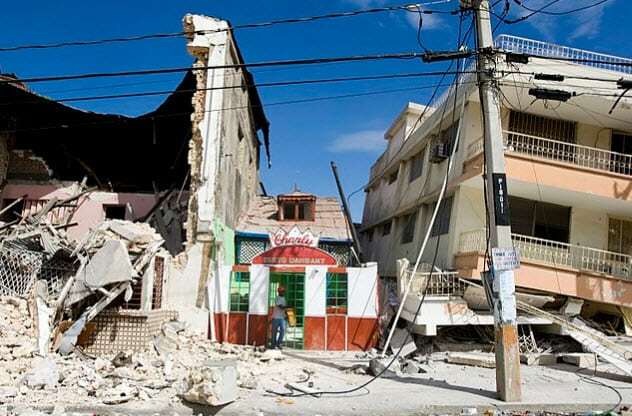 Wismond Exantus was discovered hours after the United Nations had declared an end to search and rescue efforts during its Haiti earthquake mission in 2010. Trapped under the wreckage of the Napoli Hotel’s shop for 11 days, he survived on cookies, beer, and Coca-Cola from the shelves. Incredibly, his brother refused to accept that he was dead and heard his distant cries for help after checking the hotel ruins. An international team of rescuers dug through concrete with drills and handsaws. The smallest rescuer, a Scottish female, had to crawl 4 meters (13 ft) through a tiny opening to give him water. He escaped through a gap that was merely the width of his shoulders. 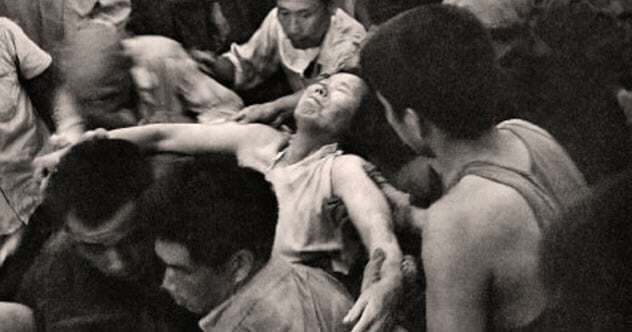 Over 200,000 people died in the Great Tangshan Earthquake in 1976. It was days before serious rescue efforts began in a city that was reduced to rubble. With no heavy machinery available, all digging had to be done by hand. Efforts were hampered by aftershocks and heavy rain. After eight days, the city was silent and soldiers were only finding bodies. On the 13th day, signs of life were detected beneath a destroyed hospital. 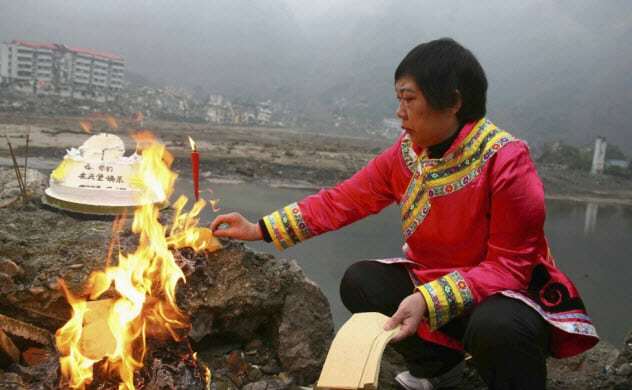 Lu Guilan, a fortysomething-year-old woman, had survived by drinking her own urine as well as rainwater that seeped through the cracks. It took seven hours to reach the last concrete slab. An army photographer who helped with the digging took a picture of Lu being lifted out. It is one of the most poignant images of the disaster. In 2006, two Tasmanian miners, Brant Webb and Todd Russell, were trapped in their cherry picker cage for 14 days after an earthquake caused an underground rock fall. Five days after the rock fall, a thermal imaging camera found them over 0.8 kilometers (0.5 mi) below the surface. Prior to being detected, they had survived by eating a cereal bar and licking water from rocks. A 12-meter (40 ft) pipe was installed to send food, including hot omelets. Foo Fighters’ David Grohl sent a fax to boost morale after he heard that the men were listening to his music on an MP3 player. Digging a tunnel through rock that was five times harder than concrete involved the use of explosives, rock splitters, drills, and chainsaws. Australian television stations showed a live broadcast of the men walking out of the mine as church bells rang out in Beaconsfield. On December 25, 2015, seams in the pit of a Shandong gypsum mine collapsed with such force that it registered on earthquake monitors. Some of the survivors were rescued quickly. However, four miners had to remain 200 meters (660 ft) underground for 36 days. Five days after the collapse, infrared cameras detected the men huddling in a space no more than 0.7 square meters (8 ft2). The men had to survive for two weeks before rescue teams were able to drill down sufficiently to send them food, clothing, and lamps. Several attempts to drill a wider shaft failed, so an entirely new shaft had to be created. The delicate mission finally ended with the men being individually winched to safety in a small capsule. The owner of the mine committed suicide by jumping into a well two days after the disaster. In 2010, 33 Chilean copper miners were safely brought to the surface after being trapped 0.8 kilometers (0.5 mi) underground for an improbable 69 days. Rescuers who were drilling small exploratory boreholes were shocked when one of the drills bits was returned with a note taped to it, confirming that the men were alive. They had managed to shelter in a chamber and carefully rationed out limited supplies of tuna, milk, and biscuits. After the men were detected, packages of food and other necessities were delivered through the borehole. It took weeks for an extraction hole to be drilled. Meanwhile, NASA engineers painstakingly developed and tested a rescue capsule which contained oxygen supplies, communications equipment, and medical monitoring probes. Eventually, the world watched with bated breath as each miner successfully completed the 15-minute ascent in the Fenix 2 capsule. 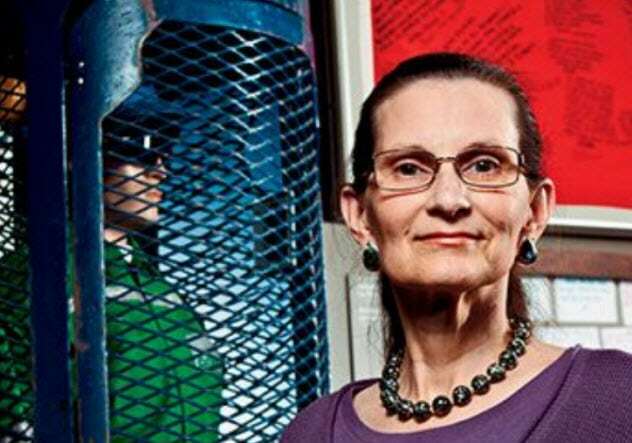 I am an Australian lady who has been writing, teaching, and editing for over 30 years. I currently live in the Australian countryside, but I previously spent 10 years in Shanghai.